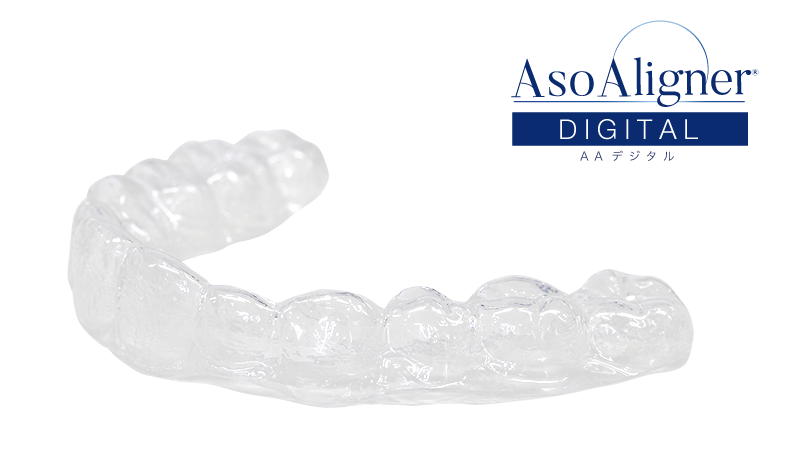 AsoAligner™ is a thin one-piece translucent orthodontic appliance with excellent aesthetics. 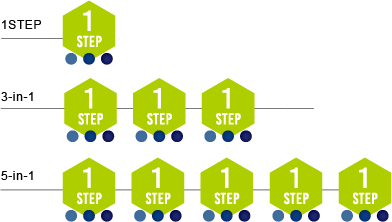 AsoAligner™ previously required dental impressions to be manually taken throughout every single step of a patient’s treatment. With AsoAligner™ Digital a single digital impression offers doctors the option to choose, along with patients’ frequency of visit request, between“one step”, “three steps in one” (recommended), or “five steps in one ”. Although AsoAligner™ “Soft” type mouthpiece is quite suitable for teeth displacement, deformation of the mouthpiece may occur when used for longer periods of time. If a deformed AsoAligner™ is continuously used for periods longer than the recommended 140- 200 hours (7-10 days), teeth may not move as originally projected. AsoAligner™ “Medium” and “Hard” type mouthpieces should be subsequently used within the same recommended time intervals. Lack of space between a patient’s teeth and AsoAligner™ is another indicator that the mouthpiece needs to be changed. AsoAligner® “Hard” type mouthpiece works not only as a retainer (in preparation for the next step) but also as a corrective device when teeth alignment is not perfectly achieved through both the “Soft” and “Medium” type mouthpieces. Please note that when ordering multi-step AsoAligner™, the “Hard” type mouthpiece needs to be worn 280 hours (approximately 2 weeks) in order to smoothly move on to the next step. 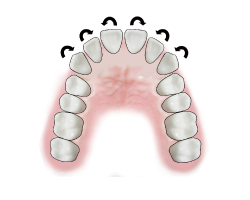 As a first step, it is essential to have adequate spacing to allow teeth to move to the right position. After teeth rotation improvement (as required). 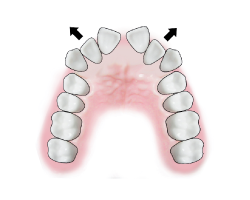 Ideal contact with neighboring teeth may not be had when IPR is done prior to correct alignment. 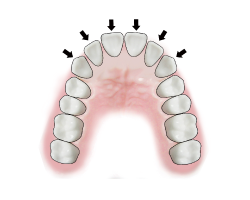 We recommend stripping be done after the appropriate amount of space closure or teeth expansion can be confirmed. IPR is also effective to improve “black triangle”. 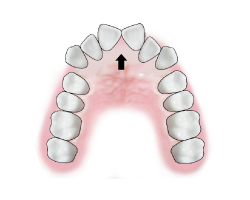 AsoAligner™ can be used as a retainer. 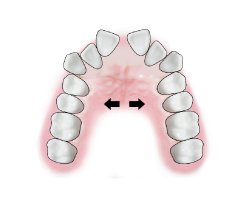 Other fixed-type retainers such as “Fixed (FSW)” and the aesthetic wire retainer “ClearBow” can also be used amongst others. AsoAligner™’s plastic elasticity enables teeth displacement by applying force to necessary parts of the teeth. 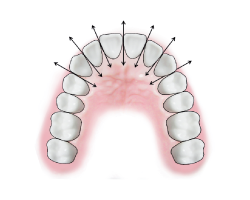 While obtaining impressions for certain period of intervals from patients, AsoAligner™ controls orthodontic force for tooth movement with different thickness of aligners. For doctors registered to ASO ordering system, please order from here. Registration makes ordering, setup checking and communicating with us easier for you. Please download the AsoAligner® prescription form and send it by email or fax.